Amazon is here with a great deal offering Graco Evo Stroller- Mineral Yellow at Rs 8287.Graco Evo stroller is Lightweight compact chassis with compact fold, Fully padded reversible seat unit, forward or rear facing. Grab Now..!! 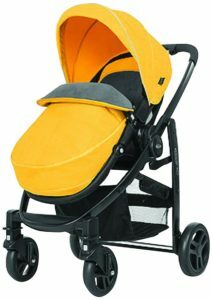 How to Buy Graco Evo Stroller- Mineral Yellow at Rs 8287?